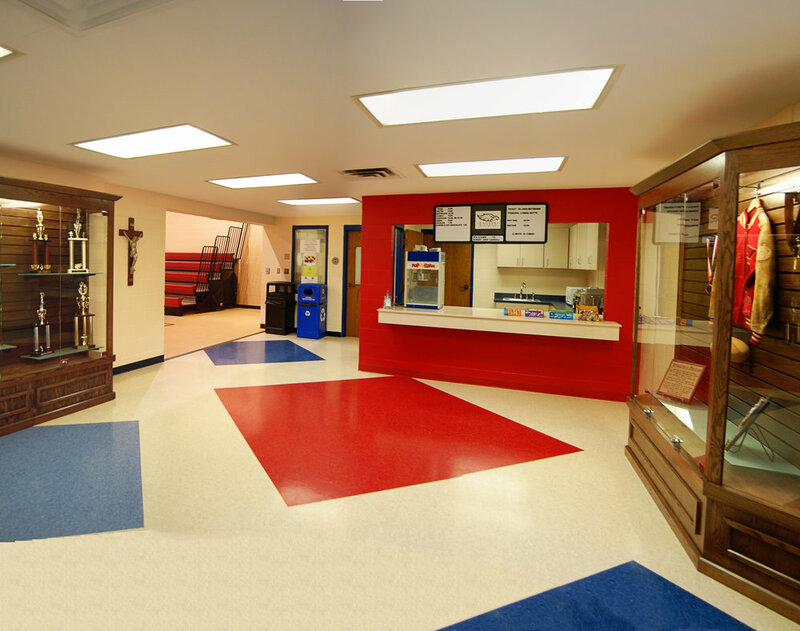 The client wanted to update tired and dated finishes in their gymnasium. 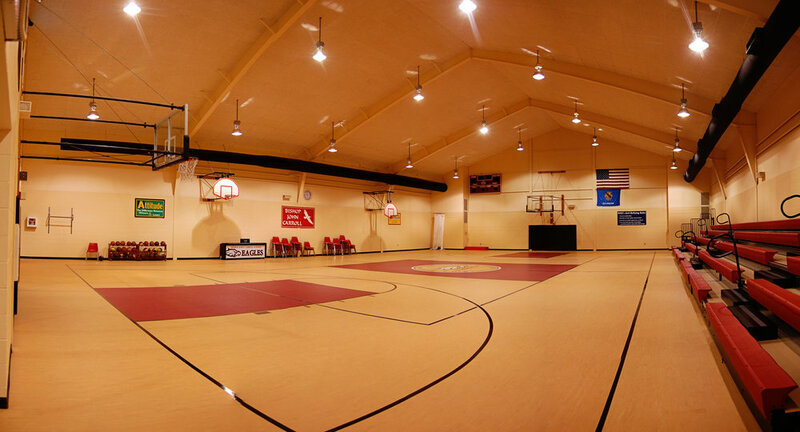 The new finishes provide a colorful and dynamic backdrop for physical education class and basketball games. 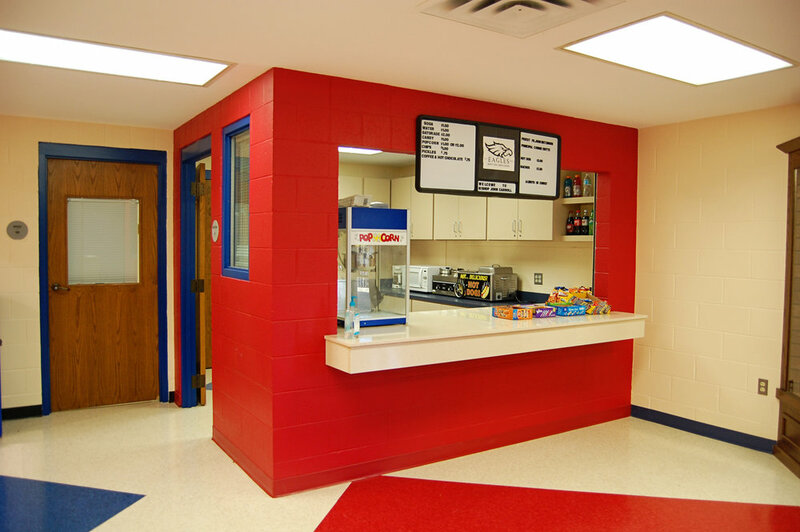 Key features include new flooring, trophy cases, school apparel display, updated concession stand, and new HVAC system.